G.P. Putnam's Sons, 9780735215559, 496pp. Clive Cussler is the author of more than seventy books in five bestselling series, including Dirk Pitt, NUMA Files, Oregon Files, Isaac Bell, and Sam and Remi Fargo. His life nearly parallels that of his hero, Dirk Pitt. Whether searching for lost aircraft or leading expeditions to find famous shipwrecks, he and his NUMA crew of volunteers (yes, NUMA actually exists) have discovered more than sixty lost ships of historic significance, including the long-lost Confederate submarine Hunley, which was raised in 2000 with much press publicity. Like Pitt, Cussler collects classic automobiles. His collection features more than eighty examples of custom coachwork. 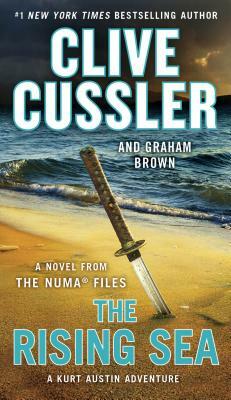 Cussler lives in Arizona. Graham Brown is the coauthor of the NUMA Files novels Devil's Gate, The Storm, Zero Hour, Ghost Ship, The Pharaoh's Secret, and Nighthawk. His other novels include Black Rain and Black Sun. A pilot and an attorney, he lives in Arizona.